Set-up row: Dc in 4th ch from hook, *ch 1, skip 2 ch, dc in next ch, ch 1, skip 1 ch, dc2tog into next ch and 4th ch (skipping 3 ch), ch 1, skip 1 ch, dc in next ch, ch 1, skip 2 ch, (dc, ch 1, dc, ch 1, dc, ch 1, dc) into next ch; repeat from * across, ending last repeat (dc, ch 1, dc, ch 1, dc) in last ch, turn. Row 1 and all following rows: Ch 4 (counts as 1 dc + 1 ch), (dc, ch 1, dc) in first ch-1 sp, *ch 1, skip next ch-1 sp, dc in next ch-1 sp, ch 1, dc2tog into next 2 ch-1 sps, ch 1, dc in next ch-1 sp, ch 1, skip next ch-1 sp, (dc, ch 1, dc, ch 1, dc, ch 1, dc) into next ch-1 sp; repeat from * ending last repeat (dc, ch 1, dc, ch 1, dc) in top of turning ch, turn. Ch 74 (88, 102, 116, 130) (includes 4 ch for set-up row). Work set-up row—5 (6, 7, 8, 9) repeats across. Work even in Scallop St pattern until piece measures 12 (13, 13, 14, 14)"/30.5 (33, 33, 35.5, 35.5)cm. Use open stitch marker to hold current position. 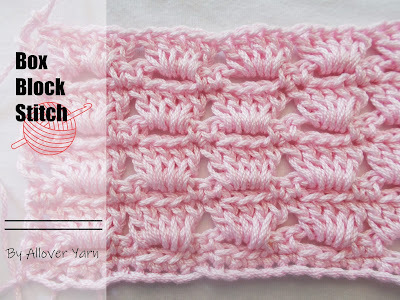 Using a separate ball of yarn, join with a slip stitch to left end of last row (opposite working yarn position), attaching it to the top of the turning chain, ch 14. Cut yarn. Return to working yarn at beginning of this row, ch 18. Turn. Next row: Work one new pattern repeat across beginning ch, continue across body sts in pattern, work one new pattern repeat across ending ch. Work even until sleeve measures 9 (9, 10, 10, 11)"/23 (23, 25.25, 25.5, 28)cm. Fasten off, leaving 3yds/274m of yarn when finishing each piece. Sew side and underarm seams. Mark center 12"/30.5cm for neck opening. First shoulder: Using long yarn tail, work one more row in pattern as follows: Ch 3 (counts as 1 dc), sl st to matching scallop on other side of shoulder, (dc, ch 1, dc) in first ch-1 sp, *ch 1, skip next ch-1 sp, dc in next ch-1 sp, ch 1, dc2tog into next 2 ch-1 sps, ch 1, dc in next ch-1 sp, ch 1, skip next ch-1 sp, (dc, ch 1, dc, sl st to matching scallop on other side of shoulder, dc, ch 1, dc) into next ch-1 sp; repeat from * across neck opening, ending on a scallop. Leave yarn attached. Second shoulder: Work as for first shoulder joining. then try on for desired neck opening size. Add or remove shoulder joins to customize. Fasten off. Dc2tog = (Yoh. Draw up a loop in next st. Yoh and draw through 2 loops on hook) twice. Yoh and draw through all loops on hook.